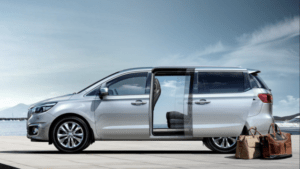 Kia is the South Korean automotive manufacturer and now it has launched now Kia Grand Carnival in collaboration with its local partner Yunus Brothers Group Lucky Cement in Pakistan. The Ministry of Industries & Production and KIA-Lucky Motors signed an agreement in Islamabad last year. The agreement was signed for the production of light commercial and passenger vehicles under Automotive Development Policy 2016-2021. Kia Lucky Motors is offering test drives, customer care and digital connects services to its customers. 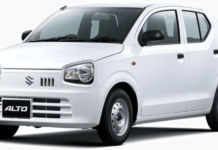 There are also many features of new Grand Carnival as it supports high-performance damper (HPD), front and back parking sensors, blind spot detection, hill-start assist control (HAC), electronic stability control (ESC), back view camera, fog lamps, rear spoiler, and shark fin antenna. The starting price of Grand Carnival is Rs.3999000 for the basic version and Rs.4799000 for the Ex (high spec) version. Kia is offering 4 years or 100,000 km warranty of Grand Carnival because Kia has the confidence about their products quality. Pakistan Grand Carnival is one of its good vehicle product which will make it popular in Pakistan auto industry. The first dealership of Kia Lucky Motors has inaugurated in Pakistan at main Shahra-e-Faisal Karachi. Kia cars are also tested on the roads like Rio and Picanto and Kia Grand Carnival is available for test drive and sale in Karachi. Now people can take a test drive and for registration they can use Konnect App. The other dealerships point would also be open in Lahore and Faisalabad very soon.